Ohio’s Republican Governor, John Kasich, has taken the unexpected step of issuing a new nondiscrimination order for state government employees as one of his last acts in office. In the new version, gender identity is a protected class. 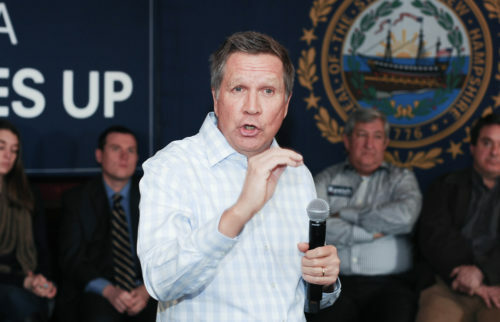 This is a dramatically different position than the one Kasich took when he began in 2011. It was not long after he got into the Governor’s chair that he removed gender identity from the state’s nondiscrimination protections. Those protections were enabled by his predecessor, Democrat Ted Strickland, in 2009. While running for the governorship, Kasich had specifically promised to include gender identity protections, but stepped back once he took office. Kasich’s 2011 executive order banned discrimination based on sexual orientation as well as race, age, gender, ancestry, military status, disability or genetic information. “All persons employed by the state of Ohio should be treated with the utmost respect and civility by their fellow state employees and are entitled to enjoy a workplace free of discrimination,” his new executive order reads. In making this move, the change helps paint Kasich as a moderate, giving way to speculation that Kasich intends to challenge Donald Trump for the presidency in 2020. He was the last major challenger to drop out versus Donald Trump in the 2016 midterms, but was only was able to pick up his home state of Ohio during the run. Kasich also made a bid for the presidency in 1999, but dropped out before primary season. The new nondiscrimination ordinance may, of course, be changed by the incoming governor, Republican Mike DeWine, after he is sworn in on the 14th of January. DeWine had claimed that he would, “continue current state policy against discrimination for state employees” during the election, but before this change to the policy. Many in the LGBTQ community are applauding the move, even though the future of the policy is unclear. “Today’s Executive Order builds on a previous order issued by Governor Kasich, which had only protected lesbian, gay, and bisexual state employees,” said Equality Ohio in a press release. “This is truly an important and historic day — not just for the transgender community — but for the entire state,” said James Knapp, the executive director of TransOhio. The new order only covers people who currently work for or are seeking to work for the state, and will not protect any privately-held job nor even businesses that contract with the state.